The textbooks should avoid treating the other side, one towards the other in both directions, said Viktor Gaber, the head of the Macedonian side of the Macedonia-Greece Joint Interdisciplinary Committee of Experts on History, Archaeology, and Education at the two-day second in a row meeting held in Skopje over the weekend. The expulsion of the Aegeans, the Greek Civil War, the Balkan Wars. These are just some of the historical events that are likely to be revised. Macedonian experts do not disclose details but say that they have agreed with their Greek colleagues that showing the other side in a negative light should be avoided. Events that cause animosity, a discomfort to hear and educate new generations. So if there is one event for one side, it will not be treated like that, said Gaber. As Gaber said, this dynamics should contribute to switching into the study of concrete formulations in the textbooks and their adaption, as he said, to the new time that the Prespa Agreement brought, based on the principles and objectives of UNESCO and the Council of Europe on this matter. The atmosphere was collegial, constructive. It’s about two concepts that need to be harmonized, and this is indisputable as there are two educational systems that have been built for years and that have their own history, and should have a shared future, said Gaber. At the meeting in Skopje textbooks on history and geography for primary and secondary education were revised. It is a huge material, and that’s why, says Gaber, the meetings were postponed twice at the request of the Greek side. The next meeting of the Committee which will be held in Athens, April 12 -13 will focus on specific issues. Many periods connect us to the Greek side. We are neighbors, we may have been 400-500 years in a state structure where there was interference of any kind – economic, cultural, social. The Slavs settled on the territory of the former Eastern Roman Empire, so we lived with those people. Whether the peoples moved left or right because of historical circumstances, this is quite another thing, but we have lived together in different cultural and social environments, said Ambassador Gaber, answering a journalist question. Journalists failed to find out more details as the Foreign Ministry services prevented additional questions from being asked. 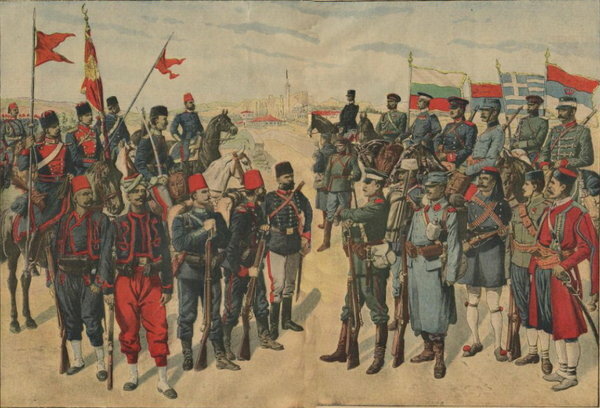 While Macedonia specifically does not disclose what is required of it or what it asked of Greece, the historians of the southern neighbor are very specific and precise – their priority for is wiping ethnic Macedonia off the maps, but also the texts about the partition of the country in the Balkan Wars. The Committee is set up by outstanding experts who fully understand the work they need to do, thoroughly know the history of the two peoples, respect international law and European legislation, and are in a position to bring justice and to present historical truth by removing the propaganda subtexts, illustrations and maps that have modified textbooks in recent decades, Greece’s Deputy Foreign Minister Markos Bolaris said then. The Committee has the task to formulate recommendations for future approval by the High Level Cooperation Council. The goal is to meet the deadlines stipulated by the Prespa Agreement as of the next school year to remove the disputed points and maps and illustrations from the curricula and textbooks.